Cyrus Fowler Day was born Dec. 23, 1893, in Embro. On his attestation papers, his medical examination was May 2, 1916. He was a teacher. 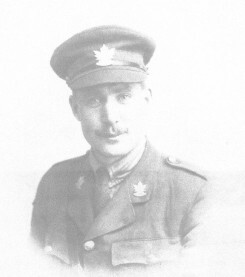 He said he had belonged to the 2nd Oxford Rifles, 168th Battalion, and that his wife Olive lived in Ridgetown. After the war Cyrus was the Postmaster in Ridgetown.